From The Daily Mail – a positive piece on the Palins for a change – with a delightful mother-and-child photograph. You can read the whole piece AT THIS LINK. 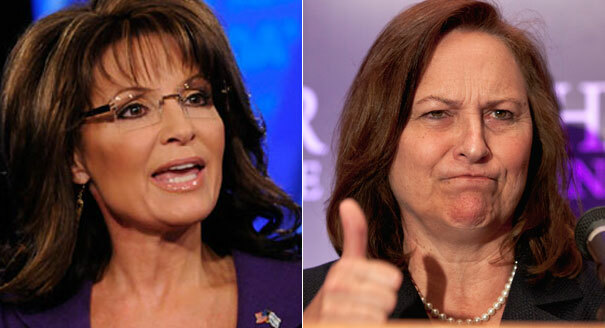 Has the media decided to, finally, give the Palins a fair go (after she is safely, for them, no threat to Obama)? Yesterday saw the very positive article on Sarah from a self-confessed liberal, “Palin my new BFF,” AT THIS LINK. Her reality show promised to feature ‘a daughter, a mother and a young woman making her way in the world,’ when it was announced earlier this year. 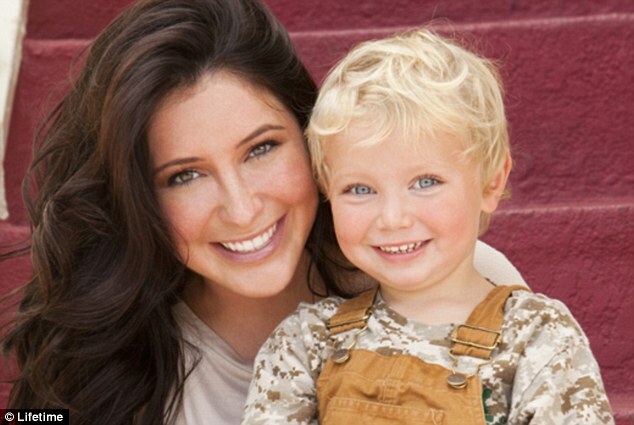 And, judging by a new promotional photograph, Bristol Palin’s cute-as-a-button son Tripp will also be playing a major part in the forthcoming Lifetime programme, entitled ‘Life’s A Tripp. The picture features the smiling daughter of Sarah Palin crouching down next to the blonde three-year-old who is equally cheery. The show will chronicle Bristol and Tripp’s journey from her hometown in Wasilla, Alaska to Los Angeles, where they move after Bristol lands a job with a non-profit organisation. Gleeful Reaction To Fischer’s Win From The Palinosphere. Crickets From the Sullen Left. Flynn says voters are rejecting politics as usual and rewarding bold, fearless candidates who stand on principle. Sarah Palin gets that, Flynn observes, while hoping that some day the national GOP will get it also. The Weekly Standard’s Michael Warren reports that Fischer defeated “the better-funded” state attorney general Jon Bruning by nearly 9,000 votes. Read the entire post at AT THIS LINK. Just a basic early report from TWITCHY AT THIS LINK but the comments section is gleeful! 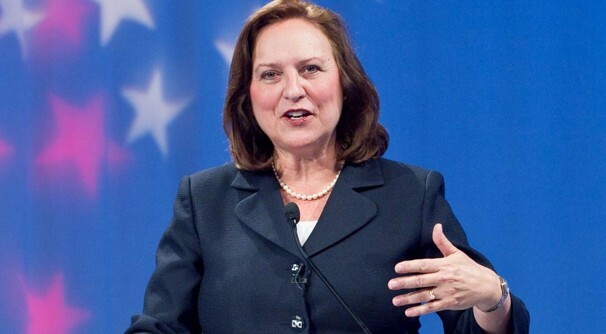 Nebraska GOP Senate primary: Dark horse Deb Fischer wins in an upset, faces New York transplant Bob Kerrey. For those of you who thought ( or hoped) that Sarah Palin was history, well, like I told you, you have another think coming. Kudos to Laura Goldman, a self-professed liberal writing a honest, from the heart, and unbiased article “Sarah Palin, This Liberal’s New BFF” in a journal that has been notable for its vociferous attacks on Sarah Palin. Goldman met Palin, whom she describes as her new BFF, at the recent SALT conference where Palin was a keynote speaker. As has been the case in every instance I have seen where people, from left and right, who have met Palin, she – Goodman – uses most of the terms that such encounters engender. Goldman: “I was surprised to find her intelligent, nice, knows the names of newspapers that she reads” and “she was not a primadonna in any way, had no problem having her photograph taken with me (twice) and is even more beautiful in person”. That is an honest statement in every respect, and it shows that liberals need not be cast in one basket as unreasonable. it is just sad that it has to take a chance encounter with the real Palin to dispel the terrible malignity that the leftist media has partaken in in their disgusting caricaturization of this woman. Hats off to Laura Goldman, and whether she likes it or not, she is my new BF and is also, as she describes Palin, beautiful (inside and out) . Editor’s Note: Goldman’s article is primarily positive toward Governor Palin, but it does become mixed toward the end and contains some inaccuracies. After Sarah Palin declined to run for the GOP nomination, the left sarcastically asked “Sarah who” almost inevitably whenever they thought they were kicking her political corpse. That was usually followed by “why does anyone write about Palin – she’s irrelevant.” Well, the left and the media (one and the same of course) has the answer to “Sarah who” after two candidates for the Senate, Mourdock (by 20 points) in Indiana, and Fischer in Nebraska, asked for her support and then won striking, come-from-behind victories in their respective primary campaigns. That candidates for such major office would ask an “irrelevant” person for her support would seem strange, based on the Lefts meme, but intelligent people, not blinded by wishful thinking and elitist snobbism, knew better. With these two wins, and the possibility of three in a row when the votes are counted for Cruz, her endorsed choice in Texas, Palin has shown she is hugely powerful and influential. She is building up a large body of endorsed senior elected officials, starting with Georgia Senator Saxby Chambliss in 2008. Then her subsequent 62% success rate from the 2010 election campaign, with winners who owe their election in some or most part to her – Gov. Hayley for example – should hold her in good stead for the 2016 presidential campaign that will commence at the end of this November. If the Romney forces do not acknowledge Palin’s power and authority with a substantial speaking role in Tampa, they will be sowing the seeds of their own destruction if Palin supporters feel insulted and alienated. Palin has been proven right, yet again, with her statement that she doesn’t need a title to effect change. But not having a title should not mean she should be ignored by the GP establishment. The astonishing political influence and power of Palin can be seen by a review of the events of the Fischer race within just a week after she made her endorsement culminating in Fischer’s victory. If Fischer wins, following on from the win of Palin endorsed Mourdock in Indiana last week, who could but agree with Palin that she doesn’t need a title to make a difference? “It’s another example of Palin power. Since her endorsement, Fischer has received the endorsements from one of three sitting Nebraska congressmen, the founder of TD Ameritrade (along with $200,000 in media buys), and now Herman Cain. They are simply following her lead, and should be applauded for it. Rep. Jeff Fortenberry on Thursday endorsed Republican Senate candidate Deb Fischer, adding to her apparent surge heading into the final days of the GOP primary campaign. Fortenberry’s support followed on the heels of a high-profile endorsement of Fischer from 2008 vice presidential nominee Sarah Palin. 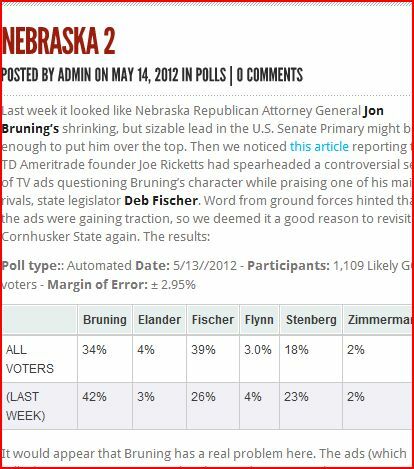 Fischer’s apparent momentum caught the eye of the Washington Post, which published a story questioning whether there might be “a Mama Grizzly upset in Nebraska” brewing. Sarah Palin and her husband, Todd, have endorsed Deb Fischer, providing the state Senator’s struggling bid to succeed retiring Sen. Ben Nelson (D) an adrenaline shot six days before the GOP primary. Fischer sought the former Alaska governor’s support early in her campaign in “a note,” according to the Fischer campaign press release. Often in the 2010 cycle, candidates were surprised to receive a Palin endorsement. The Palin endorsement proved to be an effective tool for obscure candidates to gain footing in competitive primaries. The Palins wrote back six days before the primary. The endorsement is an enormous boost to what had previously been an also-ran campaign. Fischer has struggled mightily for both attention and campaign funds in a field of three. Her GOP opponents include state Attorney General Jon Bruning, widely considered the frontrunner, and state Treasurer Don Stenberg, who has benefited from the support of the likes of the Club for Growth and Sen. Jim DeMint (R-S.C.).